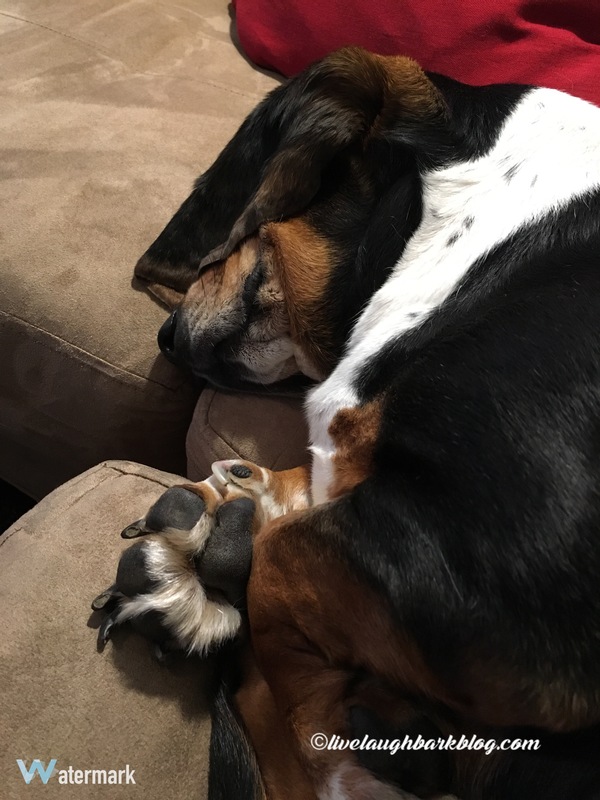 Holiday naps | Live Laugh Bark(at everything)! These holiday festivities sure wear a pup out…hope she has enough energy to finish her letter to Santa paws! !